Previously, my posts have been about bread. Well, cookies are a form of bread, aren't they? 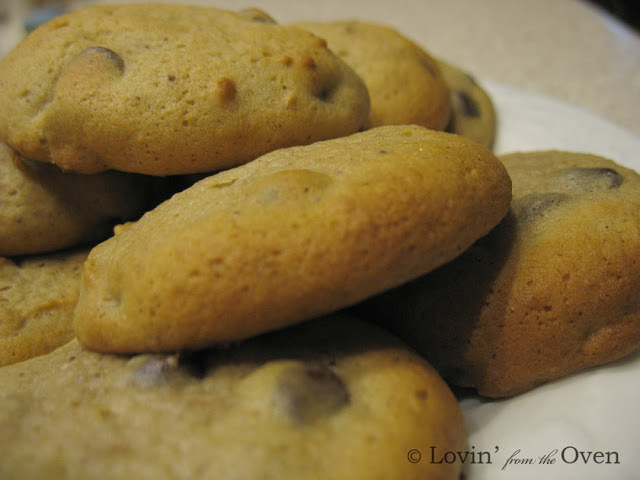 Since I have had requests for some of my cookie recipes, I have decided to add them to this blog (and change the title). Welcome to my first cookie entry! Now, these cookies kinda look like little russet potatoes, but rest assured, they are a soft, light and moist cookie! I don't know where the recipe came from; only that my mom clipped it from a newspaper many years ago. A friend of mine has tried this recipe using canned pumpkin with good results. This has been a family favorite and my 16 year old son gets ALL the credit for making these cookies tonight! In a medium mixing bowl, combine applesauce and baking soda. Set aside. In a large mixing bowl, cream together shortening and sugar. Add eggs and mix well. Stir in applesauce mixture. Add flour and spices. Bake at 400 degree oven for 10-12 minutes or until tops are dry and when touched and the cookie springs back.